Submitted by Migrate Wizard on 2014-06-28 11:02. I am proud to finally release the open beta of the Alternative Combat Animations Pack v4.0! This pack is the culmination of over 4 years of my work on NWN1. 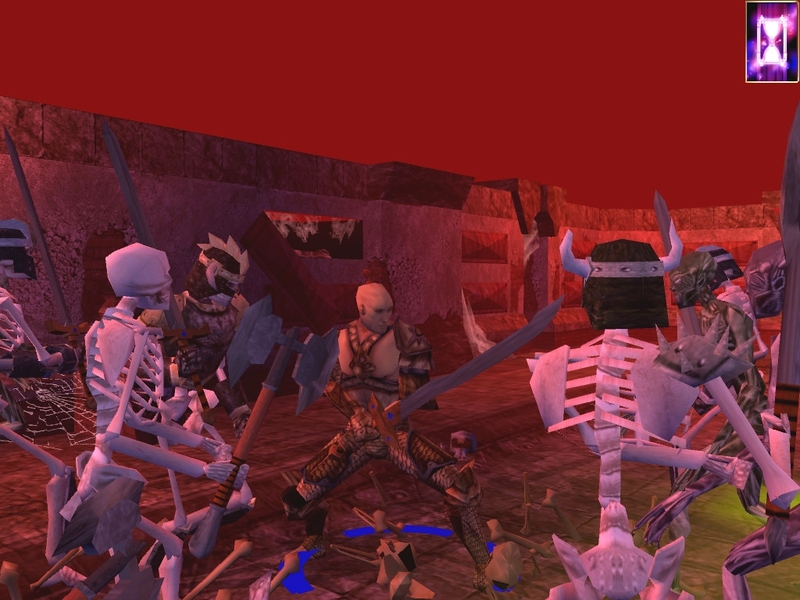 Included are a total of 11 fighting styles. 4 Of which are improved versions of the ones found in version 3 of the ACP, while the rest are all-new animation sets. My aim was to allow as much freedom of choice as possible to those who wish to complement their characters' looks with an animation set that matched the character's concept. 5 - Arcane - Character levitates, uses force-wave unarmed attacks and floating weapons. Also has spellcasting animations similar to Halaster from Infinite Dungeons or the Witch Lord from Wyvern Crown. 6 - DemonBlade - This is a special combat style commissioned by Daemon Blackrazor for his personal avatar that he graciously gave permission to release. At present, this is available for human males only. 7 - "Classic" Warrior - Inspired by the movie "300", this style is meant for those who wield a shield in one hand and a shortspear or sword in the other. 8 - Tiger Fang - An unarmed combat style inspired by Muay Thai. 9 - Sun Fist - Another unarmed combat style, this time inspired by Shotokan Karate. 10 - Dragon Palm - The third unarmed combat style, this takes its look and feel from Northern Shaolin and Tai-Chi Chuan fighting forms. 11 - Bear's Claw - The fourth unarmed combat style, this style is reminiscent of Hung Gar Tiger Fist kung-fu. 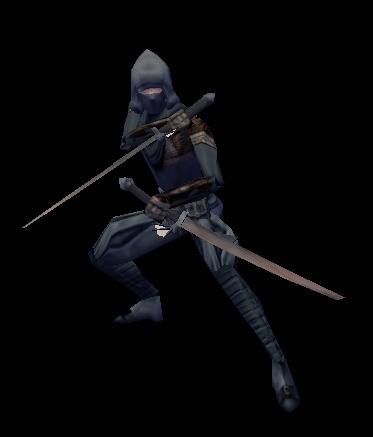 The visible cloaks from the 1.68 patch are supported for all the styles except Demon Blade and the unarmed combat sets. However, please note that as of this release, only the earlier BioWare robes are supported. The Wyvern Crown coats and loincloths included in the 1.69 patch are not yet supported and will not sync up with the ACPv4 animations. ACPv4 uses phenotypes 15-21 and 30-33, and is thus incompatible with the CEP horse phenotypes. I have no plans of migrating the ACP to a different phenotype range, so please don't ask. I have removed the ACPv3.0 feat system and instead have implemented a simpler system based on a modified version of the Bioware crafting conversation. Module Builders have the option of discarding this method and using whatever method they prefer to switch fighting styles. Regular users have the added benefit of increased compatibility with modules as they no longer require a merge of the feat and spell .2da's in case the module has modified these files. More in-depth information and installation instructions are provided in the documentation file also available on this page. Note: I am keeping ACPv3.0 available here in case anyone needs it. VAULT NOTE - Below are the descriptions from the Old Vault in regards to the latest versions available for download. Description: See included documentation for installation instructions and overview of features. 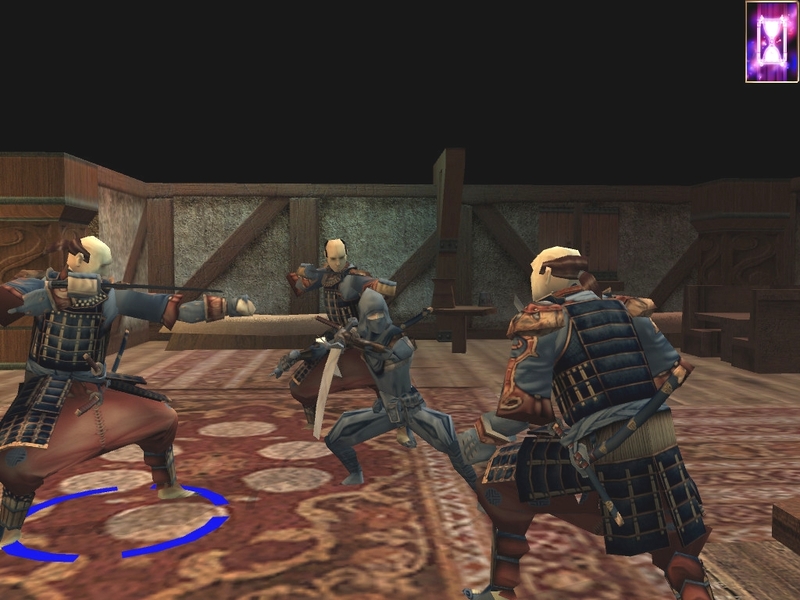 Description: Alternate Combat Animations v4 - open beta (build 4.0.1) - updated on August 4, 2008. This archive contains the core files in a single .hak file. This hak can be extracted to the override folder and should work from there without much hassle. 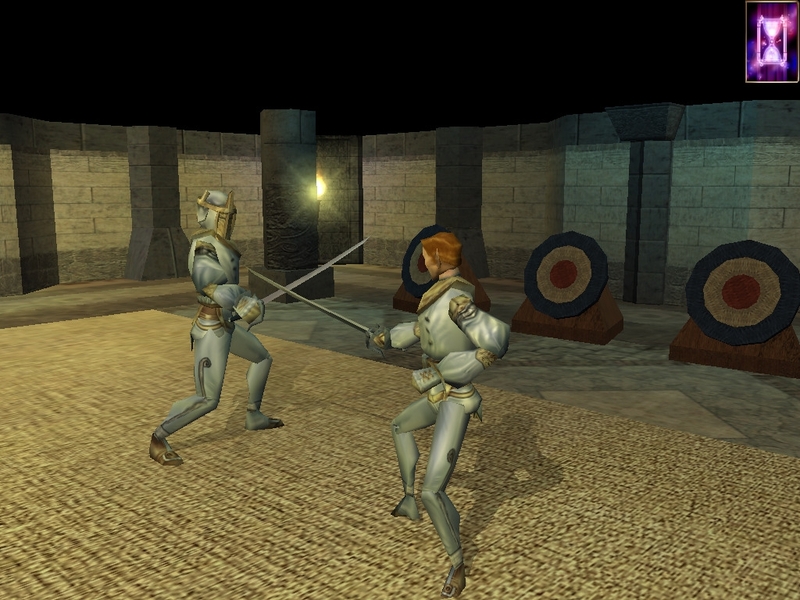 Description: Alternate Combat Animations v4 - open beta (build 4.0.1) - updated on August 4, 2008. This archive contains a .hak file that has a modified version of the default BioWare crafting conversation designed to allow easy access to the fighting styles via the crafting conversation on the radial menu. This hak can be extracted to the override folder and should work from there without much hassle unless your module has its own custom crafting conversation. This a little confusing. If I just wanted to download the complete version of version4 which files do I need to download? The rest are just legacy versions that the author had up on the old page. I've updated the description to include the notes about the two beta versions, and re-organized the order of files so that 4.0.1 BETA and 4.0 are at the top of the downloads. That should make it easier to identify them. Thank you. With all those files I just didn't know which were essential. I simply love this and I recommend it to everyone player/builder alike! I've install the hak (ver 4.0) in the override folder, as mentionned in the .txt file, but it doesn't work. The Demon Blade doesn't have animations. I use this whenever possible. I'm no expert, but I don't think ACP is a mod to the Official Campaign. It works in those user-created modules which are designed to use it. I've tried placing the hak file in the override folder and in the hak folder, i made a tlk folder as well since for some reason the game didn't create one, but none of that worked. Then i thought it might be the custom character override hak i was using, but even when i used the optional file file that makes it compatible with ACP, and even when i removed the entire mod, nothing happened. Any ideas as for what i'm doing wrong? There is a demo module for ACP 4.0 in order to test if the HAK itself is working properly. It should be put in the HAK folder for usage with that module. You may want to refer to this thread for help, specifically the last few posts. It mentions extracting the contents of the HAK file, which can be done with nwhak.exe found in the 'utils' folder of your NWN installation. You can create a folder named ACP 4.0 for example, and then go 'File - Open' and browse to the HAK you want to extract, and then to 'Resources - Export All' in order to extract contents to that folder. They can then be placed in the override folder; it's recommended to maintain a backup of the original Bioware overrides in the Override_Bak folder in case something goes wrong. The combat styles should then be able to be found through the Radial Menu -> Special Abilities -> Crafting Skills. EDIT - If you use CCOH, then you'll want to override the file from the Bioware Crafting Conversation override above with the version on that page. It solves a conflict between them. Got it, i'll do all that and see if it works. Also thanks for answering so quickly. Alright, that solved the issue. So basically hak files need to be in the hak folder, the override folder is for the contents of those haks. Reason why it wasnt working is because I was using the SOU campaign expecting it to recognize the hak. Thanks again for the help. Does this work with the large phenotype? I made a fat buddah dwarven monk and I can't get the animations to work. I used NWN explorer to extract all of the files from both the ACP hak and the ACP convo hak into the override folder. 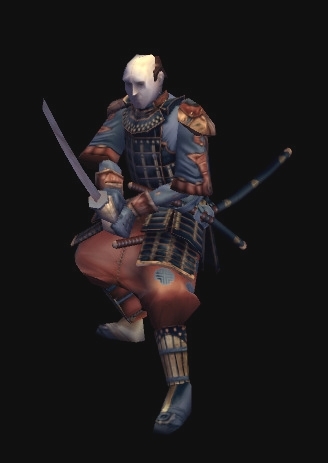 I even tried the ACP demo as well, but my monk just uses the generic fighting style. I suppose it is listed somewhere but I havent found it- Where, in game, do you find the options to change fighting styles? I cant find it. I have found fighter options but there is nothing there. Can anyone explain how to edit robe mdl files so it can be compatible with ACP?? I'm not asking anyone to do it for me, but so I could do it myself. The robe I'm trying to edit is from CEP. Is there anyway to get it work with NWN2? Has anyone ever succeeded in patching this for CEP2+? I can't seem to be able to get rid of the horse bug, even when merging the 2da. Great content otherwise, nevermind the slightly error-prone implementation. This is very nice, I hope animations and the ability to choose them like this gets incorpaorated into the NWN:EE base. Excellent content, love the new styles. One note: I'm not sure about older versions but the latest/4.0.1 beta's 2da incorrectly lists halberds as medium sized weapons, making it effectively a 1 handed weapon for medium sized characters.